SWIPE ur DEBIT contest was jointly organized by MYDIN and MyClear in collaboration with 15 banks namely Affin Bank, Bank Rakyat, Alliance Bank, CIMB Bank, AGRO Bank, Hong Leong Bank, AmBank, Public Bank, Maybank, RHB Bank, Bank Islam, Kuwait Finance House, Bank Muamalat, UOB Bank dan OCBC Bank’. This contest was held for 92 days starting from August 1, 2015 until October 31, 2015. This effort is part of MYDIN and MyClear campaign to encourage the usage of Debit Card eventually supports cashless economy. 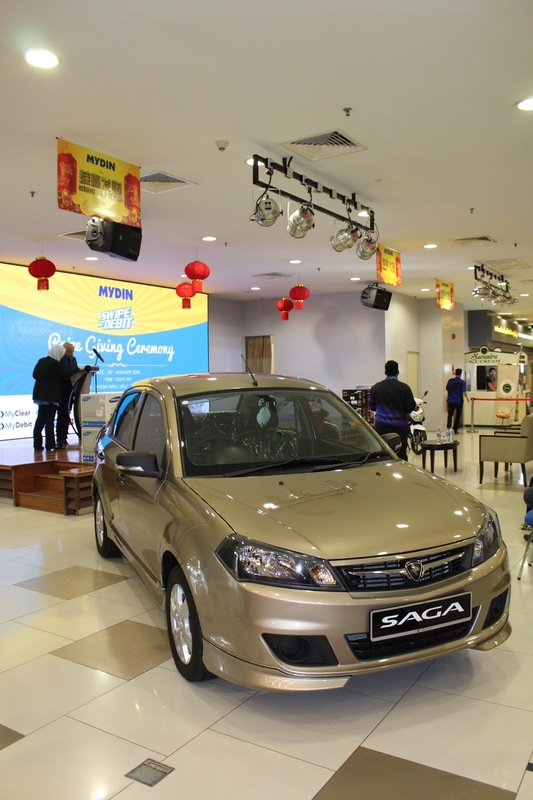 Excited who is the winner of this Proton Saga SV 1.3. It was a simple contest to take part, with a minimum spend of RM80 payment using MyDebit/ATM card in one transaction at MYDIN. Each participant allow to take part in SWIPE ur DEBIT. Each contest form must be attached with the original receipt of transaction payment and particular of participant in detail. The other attractive prizes including 2 motorcycles Modenes Ace115, 10 unites of electric and 10 consolation prize. 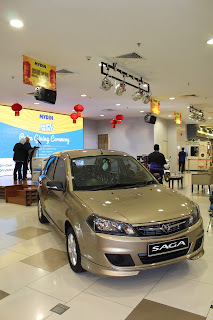 Congrats to winner who has won herself a car in MDYIN SWIPE ur DEBIT CONTEST. Congrats to all winners who take part in MDYIN SWIPE ur DEBIT CONTEST. MYDIN Mall is where I shop often with my friends and family. I find many products there that I need namely school bags, sport shoes, stationery and many more. Nice pics. Tht Car looks hot. Congrats to the lucky winners..